Simply put, SMS marketing is nothing without a decent sized list. On top of that, you should always make sure list subscribers are qualified. They should actually be interested in the product or service you’re offering. 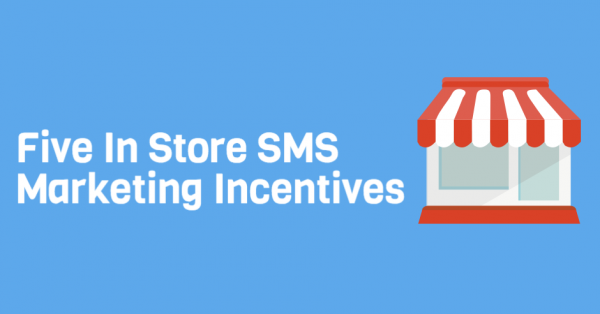 Beyond that, here’s five awesome in store incentives that help you grow your SMS marketing list. When your customers approach the cash register, offer them an instant $2 off their purchase. If you tend to sell higher ticket items, then by all means, increase the dollar amount. If you want to offer a larger discount, you can also set purchase requirements. For example, “$10 off the first $100”. Ideally, we don’t recommend this, as the less hoops your customers have to jump through, the better. Once customers opt in, offer them a free gift with their purchase. For example, if you work at a beauty counter, offer a free sample size of perfume, or classic lipstick. This will encourage customers to quickly join your SMS marketing list. The best way to grow your SMS marketing list? A text to win contest. Offer an irresistible grand prize. You want customers to do a double take when they see contest promotion materials. Make a personal connection with customers. Explain the entire opt in process. SMS is still a fairly new marketing method, and sometimes, requires a bit of detailed explanation. This will increase trust, and ensure that your SMS efforts are completely transparent. Running a 48 hour flash sale? Let your SMS subscribers cash in on these deals one hour early. Promote the sale in store, and then talk about the extra special treatment your SMS subscribers will receive. Ready to partner up with one of the top SMS marketing providers, Slicktext.com? Give us a call today at 1.800.688.6290 to sign up for your free plan. We offer a feature rich platform that empowers SMS beginners to succeed.